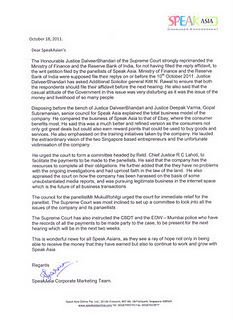 The Supreme Court has also instructed the CBDT and the EOW – Mumbai police who have the records of all the payments to be made party to the case, to be present for the next hearing which will be in the next two weeks. This is wonderful news for all Speak Asians, as they see a ray of hope not only in being able to receive the money that they have earned but also to continue to work and grow with Speak Asia but on the other hand we would also request you all not to trust any rumor or any fake document as there has been fake documents circulating on the internet with fake stamp and sign of our chairperson. Team Monavie is one of the leading teams in Monavie India which is in full swing preparing the pre-registrations for the distributors all over from India. Last Saturday, Monavie India has conducted a product training session which attracted some of the senior leaders from other product based companies. 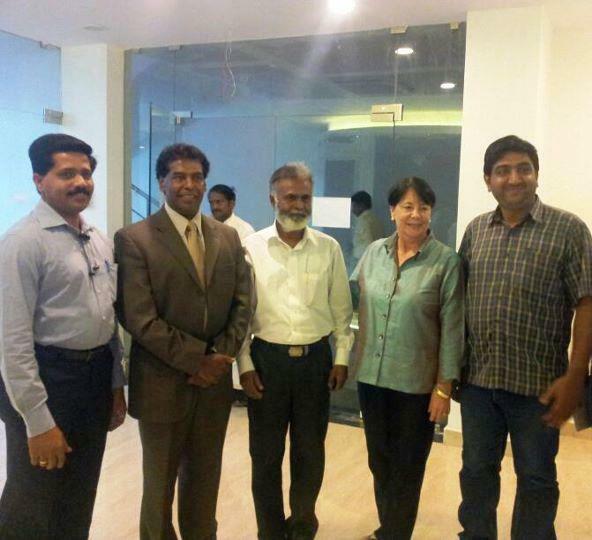 A leading team from Kerala, joined (TeamMonavie) last week. Another big team from Kanpur and Assam had signed up the forms this week. Monavie India has started processing the distributor forms and everyone has got their distributor ID number.Monavie India is planning for a mega launch in the month of November 2011 in India, before which it is expected that the pre-registrations itself will cross a record number of 100000 + distributors. Team Monavie itself is expected to hit 10000+ distributors in India by end of December 2011. The Office furnishing work in Monavie India, Chennai has been completed except some interior work is touching the final stage. Monavie staff is available now on the helpdesk to collect the distributor signup forms. Leaders are busy Organizing one to one discussions with the new prospects. Mr.Rajlingam, Asia Pacific Head, Monavie. Mr.Syed Sinofer, Leader - Team Monavie. Mr.Syed Sinofer has been nominated by group of leaders to lead (Team Monavie) who will be responsible for reaching out to leaders in other states, to process joining forms for distributors joining Team Monavie, to administer Team Monavie Website (http://teammonavie.in/) and to run Online Campaigns and provide support for leaders joining under Team Monavie. Product ranges include Quantum Pendant, Nano card, Mobile Radiation Chip, Gold plated coin, Nazar Raksha Kawach, paithani Saree, Bio-magnetic bracelet, Benetton watch, Reebock watch, Belmonte shirt and pant piece, Gold plated shree yantra with frame, Tie with cufflink, Shree Maha Dhan Laxmi Yantra, Siyaram suit length, Belmonte suit length, Induction cooker, Gas stove, Convection oven, Cash drops water purifier, Gwalior suit length, Birla Sun life insurance and Acer emachines laptop. The product pricing ranges from Rs.2000/- to Rs.26000/-. The binary software interface is designed very nice and having all options to track your earnings for every 12 hours. The company has been paying honestly till date to all members and there has been no delay or discrepencies on the accounts. Business seminars are conducted all over in India in Hindi and English.